The charms of Omishima Island are truly inexhaustible. First of all, there is the natural scenery: islands large and small dot the vast expanse of the sea, the sun sparkles on the water’ s surface, clouds drift lazily across the enormous sky. The sunsets here are just incredible. Counterbalancing the ruggedness of this primordial environment is the intricacy of the rice paddies, citrus groves, and villages that people have created over the centuries. The word satoyama (literally “village-mountains” ) is used to refer to pastoral landscapes like this one, where nature and human activity are interwoven, and this is the quintessential landscape of Japan for which Japanese people feel such fondness and nostalgia. 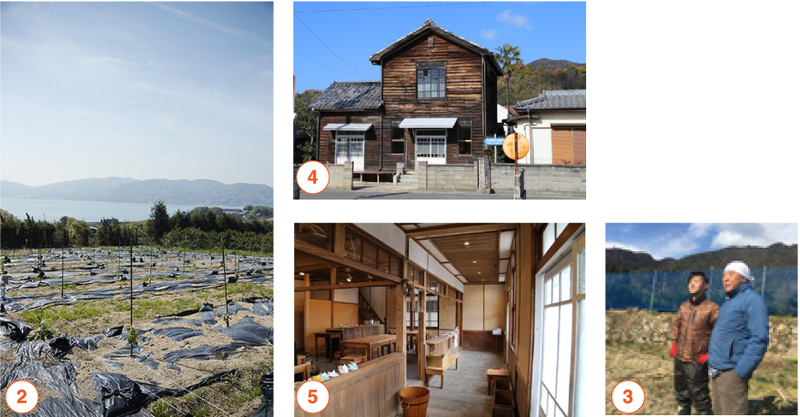 A leisurely stroll through this rustic environment is all you need to savor the true charm of Omishima. Revered since the dawn of written history as the Island of Kami (deities), Omishima has been spared major industrial development and retains a rich and diverse biosphere. There is no shortage of hiking trails where you can enjoy the delights of flora that change with the seasons, and encounter rare wildlife as well. According to Ozawa Jun, an expert on Omishima’ s natural environment, the island’ s biosphere is nurtured and protected by diverse natural terrain including salt flats, swampland, tidal flats, sandy beaches, the primeval forest around Oyamazumi Shrine preserved as the sacred home of deities, and bodies of water such as rice paddies that are untouched by concrete construction. This rural environment is home not only to Japanese rice fish, pond snails, and loaches (freshwater eels) but also to rare creatures such as the Daruma pond frog. The Omishima Nature Conservation Society and other local conservationists are working to protect this precious natural environment, for example by surveying and monitoring colonies of the endangered bamboo lily. 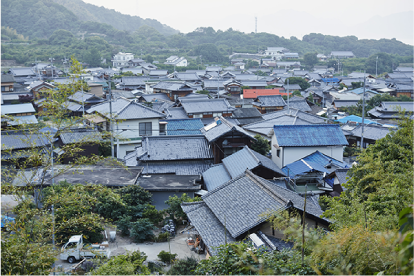 The beauty of Omishima lies not only in nature but also in human civilization: stone-walled terraced groves of fruit trees on hillsides, villages of kawara roof-tiled houses clustered together in small enclosures, tidy and well-kept fields and rice paddies. The pastoral landscape that the island’ s inhabitants have created and preserved over the centuries (photo 1) reflects a value system far removed from that of the single-mindedly practical and efficient city, and time passes far more slowly here. 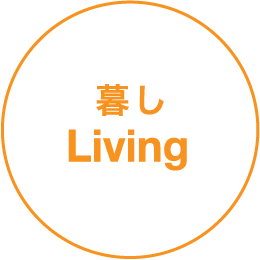 In recent years, there has been a rise in the number of people moving to Omishima to live, or returning home after living elsewhere, and a high percentage of them remain on the island over the long term. Clearly there is something about this environment that fulfills people in a way urban life cannot. Let’ s see what a few of these transplants or returnees from elsewhere have to say. 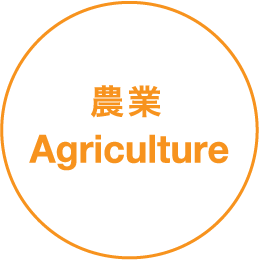 Mr. Ochi, who moved to Omishima from Osaka with family 17 years ago, practices cyclical agriculture. This involves, for example, feeding leftover vegetables to chickens, then turning the chickens’ droppings into fertilizer, which is spread on rice paddies along with compost made from kitchen garbage, making use of all resources and generating minimal waste. 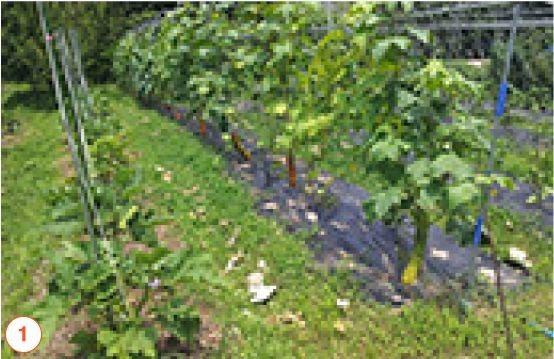 The resulting soil is home to earthworms and ladybugs, and is highly heat-retentive and water-conductive (photo 2). Questioning Japanese farmers’ reliance on imported seeds, Mr. Ochi also dedicates time and energy to harvesting native seeds for further planting. For the past 10 years he has also been conducting a cyclical agriculture workshop, which he organized with the goal of conveying to children the importance of coexisting with nature. 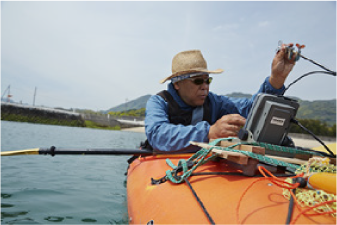 Mr. Kawata, who has studied viniculture at the University of Yamanashi, took note of the Seto Inland Sea’ s climatic similarity to the Mediterranean. He decided to attempt wine production on Omishima. 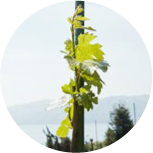 After eliciting the cooperation of Hayashi Yutaka, a local citrus farmer who relocated to the island, Yuriko Morimoto, and renowned architect Ito Toyo and his wife Yoko, he began growing Chardonnay and Viognier white wine grapes on a tenth of a hectare of land (photo 3). The plan is to sell raisins and juice from the 2016 crop, and then to ship out 1,000 bottles of wine in 2018. 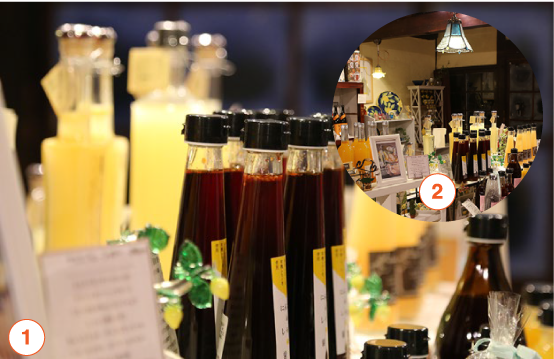 With a subsidy from Ehime Prefecture, Mr. Kawata will open a wine bar inside the Home-for-All on the Oyamazumi Shrine approach, and work to popularize wine on Omishima. 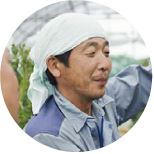 Horiuchi Hiroyuki had long dreamed of building a self-sufficient lifestyle through carpentry and agriculture, and he moved to Omishima in 2002 with his wife Yuko in pursuit of this dream. At first they lived in a rented house, which was flooded by torrential rains and high waves during a typhoon, and that spurred Hiroyuki to design their own wood-frame house and build it himself on high ground. 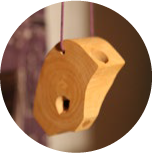 In addition to growing citrus fruit, he makes a living by making and selling wooden toys, household items, and furniture. 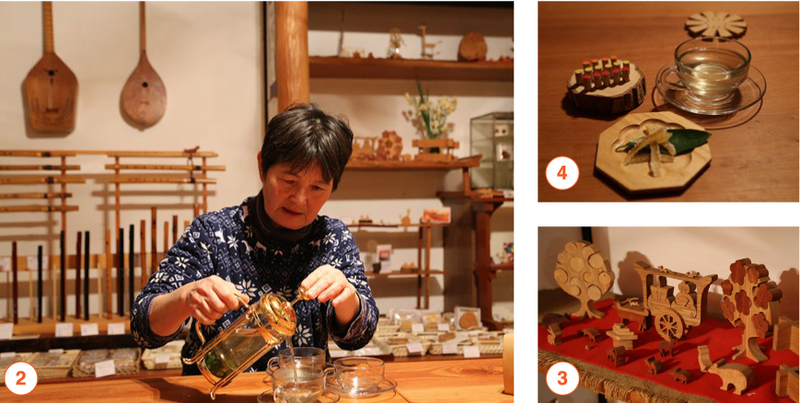 Among his most popular items are musical instruments made with Omishima bamboo, and bird and bug whistles made with mandarin orange tree wood (photo 4). Yuko raises herbs and runs a tearoom serving herbal teas. 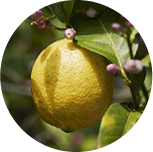 Both of them great lemon lovers, Mr. and Ms. Yamazaki relocated to the island in 2008 from Tokyo with the goal of cultivating lemons themselves. 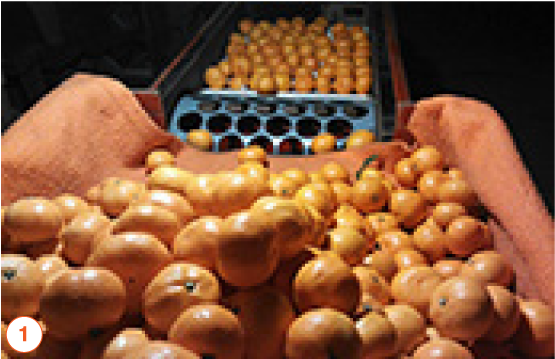 The lemons and other citrus fruits they painstakingly grow with organic and pesticide-free agricultural methods have been granted the JAS organic certification. 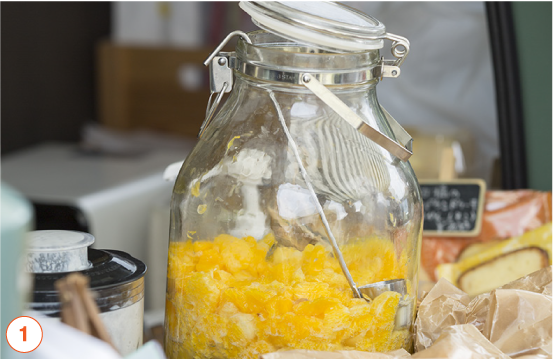 The Limoncello liqueur, jam, cookies, dressings, and other original foods and beverages they produce in their factory at home with their lemons and other citrus fruits are sold at their Limone store (photo 5) or online, and sales have been increasing thanks to word-of-mouth publicity. The Yamazakis dream of building up their business into one that will employ young people in an exciting and fulfilling work environment. While it looks placid today, the Seto Inland Sea was the scene of countless battles that raged across the region during the Middle Ages. Since those days, Omishima has been known as the Island of Kami (deities) because it is home to Oyamazumi Shrine. The deities enshrined here are known as almighty protectors, guarding both the mountains and seas of Japan and watching over warriors in battle. 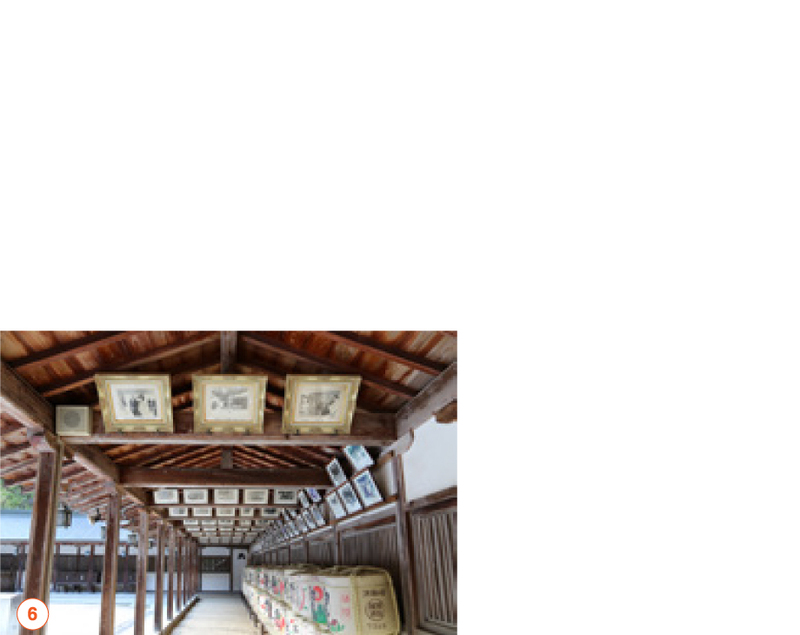 At this shrine with its unique history, the Hall of Treasures exhibits helmets, armor, and swords worn by some of the most legendary military leaders of old. 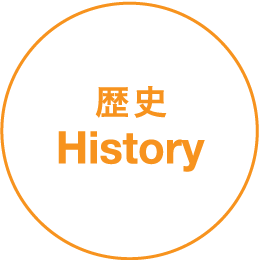 Its unparalleled collection of regalia contains many of the arms and armor designated as National Treasures or Important Cultural Properties of Japan. The feud between the Genji (Minamoto) and Heike (Taira) clans, one of the most dramatic episodes in Japanese history, is a source of enduring popular fascination, and here you can see the armor worn by some of its main actors, brothers Minamoto no Yoshitsune and Minamoto no Yoritomo. Also on view are the naginata (halberd blade) of the great warrior monk Musashibo Benkei and the helmet of famed female warrior Tsuruhime (known as “Setoʼs Joan of Arc”), which features a striking modern design and navy-blue color. 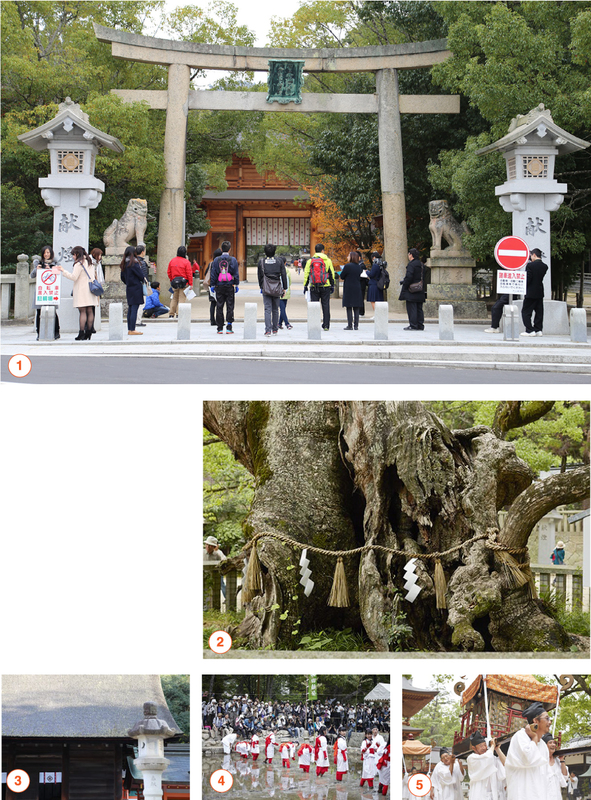 Also astounding are the sacred camphor trees on the shrine premises, estimated to be at least 2,600 years old. Said to have been planted by descendants of the Oyamazumi deities when the shrine was built, they have grown into majestic colossi that are still burgeoning with life force after millennia. 6 Both the Hall of Worship and the Main Hall are Important Cultural Properties of Japan, reconstructed in the 15th century. 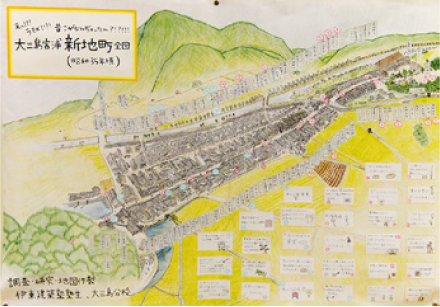 The island of Omishima is home to 13 villages scattered around the periphery of Mt. Washigato, a sacred mountain in the Shinto faith. Before the advent of the automobile, boats were the primary mode of transport, and people interacted more with villagers on neighboring islands across the water than with those in the next village on their own island. 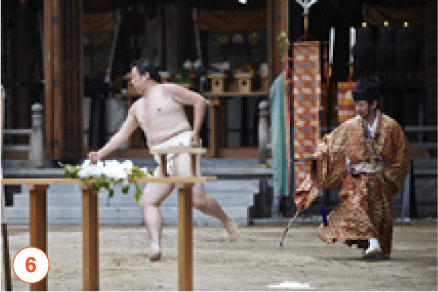 For this reason each village retained its own distinctive character, and evolved unique festivals involving kagura (Shinto sacred music and dance), lion dances, danjiri (festival ﬂoats pulled on carts), sacred archery, and more. 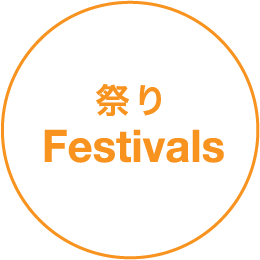 However, the islandʼs population has fallen from its peak of 12,000 people to around half that, and staging these festivals each year has become a sometimes insurmountable struggle.One festival, Kaidenma, which petered out 15 years ago after continuing for over 200 years, was revived in 2014 thanks to a transplantʼs initiative. 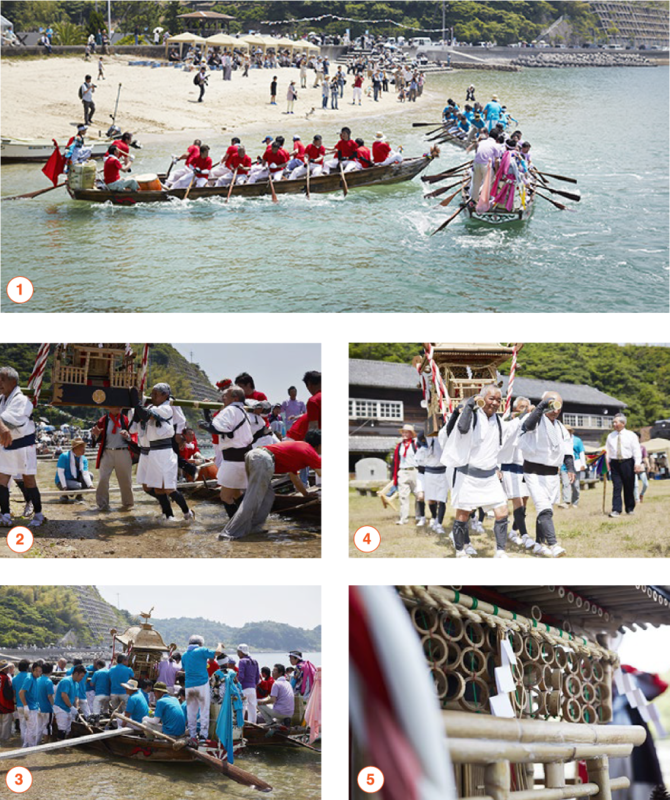 A thrilling ritual race between men on long, narrow boats known as tenma-sen, it brought great joy to the island with its resurgence. Local residents young and old came together as one to resurrect this time-honored tradition. The festival also had the unexpected eﬀect of bringing back former islanders who had moved to big cities. 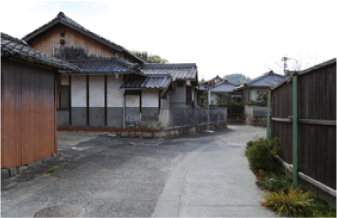 In the past, Japanese villages had social structures involving division of labor among organizations known as yui, ko, and za, which kept the wheels of the village turning smoothly. 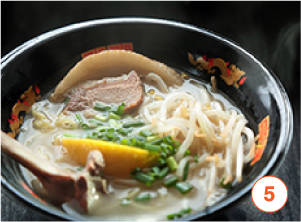 The revival of Kaidenmaserved to restore these communal bonds and ties to traditional culture. Since the Shimanami Kaido road opened, a growing number of cyclists and sightseeing buses have been coming to Omishima. On the other hand, the number of people traversing the approach to Oyamazumi Shrine on the islandʼs opposite side has greatly dwindled. The shrine approach used to be a bustling one, lined with gift and souvenir shops, food shops and restaurants, and even a movie theater and a public bathhouse. Today, empty storefronts and vacant lots are prevalent. Omishima encapsulates all too well the trends of Japan as a whole: a declining birthrate, an aging population, movement from rural areas to urban ones, and a rising number of vacant properties.The good news is that more people are moving to Omishima to live, and more people originally from the island are moving back there, from all over Japan. Ninety-nine people did so over the ﬁve-year period starting in 2011. Another hopeful sign is that more than 90% of these people have stayed on the island. 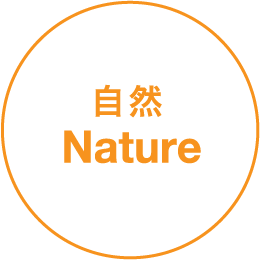 Besides the lovely and tranquil scenery of the Seto Inland Sea, the scarcity of natural disasters or extreme weather is another reason people choose Omishima. 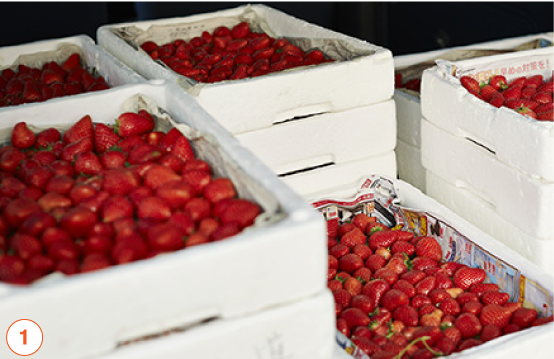 A stable natural environment is a vital prerequisite for those who seek to make a living through agriculture. However, the number of vacant houses is increasing at a faster rate than the incoming population. One NPO has started taking on thechallenge of turning these uninhabited buildings into comfortable environments for newcomers to live or carry out various activities. Another organization is working to turn meat from wild boars, which ravage farm ﬁelds, into a local island delicacy. If people working to turn negatives into positives in this way join forces, Omishima is sure to ﬂourish ever more in the future. RIGHT Mr. Hayashi is both a farmer and a hunter. The nearby seaprovides a great variety of ﬁsh, shellﬁsh, and seaweed. TOP A peaceful pastoral landscape: In some villages, 60% of thehouses are unoccupied. Mr. Hayashi is both a farmer and a hunter. The nearby sea provides a great variety of ﬁsh, shellﬁsh, and seaweed. 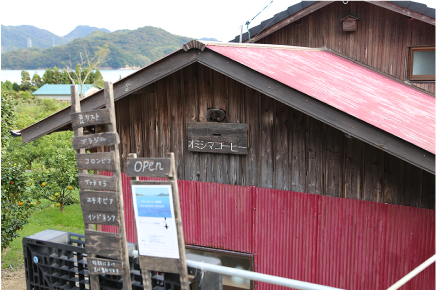 The nonproﬁt Shimanami Island Spirit faces numerous obstacles to its mission of revitalizing the island through cyclical use of real estate. Even when the last inhabitant of a house has died, surviving family members do not want to rent it out until several years have passed, in line with Buddhist mourning customs. 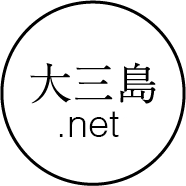 However, after being left untouched for several years, a house becomes unﬁt as a rental property… NPO member Ms. Kobayashi maintains a positive attitude and stays busy ﬁnding constructive common ground between longtime residents and new transplants. The village street took shape over many years, and it has plenty of potential to accommodate new residents who move to the island. 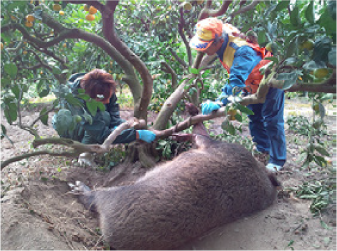 Soon after he had started growing mandarin oranges on Omishima, Mr.Watanabe’ s grove suffered damage from wild boars. However, it did not take long for him to go from pest damage victim to wildlife resource user. He immediately teamed up with local hunters and built a slaughterhouse from which boar meat is shipped out to Tokyo and elsewhere. 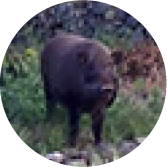 About 800 boars are caught each year on the island, and about 15% of them end up at the Brigade’ s facility now. As the popularity of game meats grows, he aims to ship out more and more wild boar meat, and dreams of making a name for it as a local Omishima specialty. Mr. Watanabe (left) and hunter Mr. Takahashi (right) with a wild boar they felled. It needs to be processed swiftly to and at the slaughterhouse to become a marketable product. 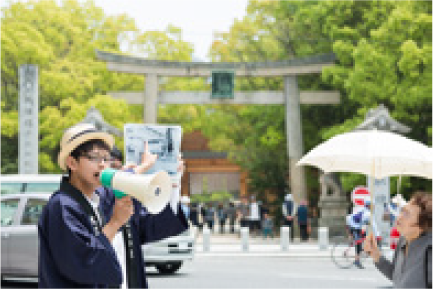 On weekends, local high school students can be seen on the approach to Oyamazumi Shrine with microphones in hand, providing information about the shrine and its approach. 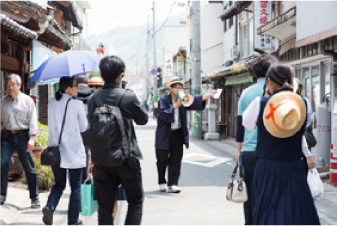 The idea for this innovative extracurricular activity, which also helps to promote tourism, came from former Omishima’ s high school teacher Mr. Tamura. Students meet with the island’ s old-timers in person and listen to stories from long ago, then relate these fascinating tales to visitors. The number of young people choosing to remain on the island after graduating high school is starting to increase, and it seems like these encounters with living history may be part of the reason. RIGHT A local high school student serving as a tourist guide on the approach to Oyamazumi Shrine.